One can argue that Renee Michelle is among the “chosen ones” in the world of professional wrestling. And the fans should thank Gillberg, of all people. Michelle made her in-ring debut in June 2013 in a title match for the vacant NWL champion. Since then, she’s worked at various independent promotions, such as XWA, VOW, Shine, and WSU, among others. She first appeared at the East Coast Wrestling Association in July 2013, where she became a two-time ECWA champion. In 2015, she ended fellow MYC competitor Tessa Blanchard’s title reign to begin her second run as champion. She competed in her first MCW match on October 2013, where she teamed up with Mickie James in a match. She has also captured the MCW Women’s title thrice, with her second title reign coming in after defeating Abbey Laith in a match that was officiated by James in 2015. In 2014, Michelle entered the ECWA Super8 ChickFight tournament, reaching the semifinals, until fellow MYC competitor Tessa Blanchard cut her tournament short. Grappling legend Chigusa Nagayo took Renee Michelle under her wing while working in Japan, and with the likes of Lita, Jeff Hardy, and Jushin Thunder Lion as Michelle’s inspirations, expect the unexpected from this woman. Rhea Ripley’s striking prowess belies her age and can rearrange the face of an unsuspecting opponent. The 20-year-old Australian wrestling prodigy has been in the industry for four years, making her name in the Adelaide-based promotion Riot City Wrestling by becoming a two-time women’s champion before touring in Japan. She got her hard-hitting kicks from being a standout soccer player in her youth. Photo taken from Adelaide Now. Ripley was scheduled to attend a WWE tryout held in Australia back in 2015, but was unable to due to her age at the time. A warrior and scholar with multiple degrees, as well as a licensed massage therapist, Sage Beckett really had no reason to return to wrestling after her retirement but for her love of the business. But a sweet contract with SHINE and later on, the WWE, don’t hurt either. Beckett was a student in Bubba Ray and D-Von Dudley’s Team 3-D Academy. She made her debut in 2007 as Betsy Ruth, the daughter of baseball legend Babe Ruth. Her accomplishments include several runs in the Women's Elite 8 Tournament under World Xtreme Wrestling, one time making it to the finals against the 17-year veteran and fellow MYC contender Mercedes Martinez. Beckett wrestled for TNA briefly in 2010 after a shorter stint in a show produced by Gorgeous Ladies of Wrestling host and producer Johnny Cafarella, where she wrestled Serena Deeb and Amber O’Neal. The young wrestler’s debut in TNA was marred with controversy as she accidentally injured former WCW valet Daffney. Beckett would only wrestle a few more matches with the company as Roxie Lottalove before moving on to World Woman Pro-Wrestling Diana in Japan and retiring due to injuries in 2012. Years and a hundred pounds less later, Beckett returned in 2014 for SHINE and miscellaneous appearances for NXT until her signing for the MYC. To say that Santana Garrett made her name in the independent scene is an understatement. The 29-year-old, eight-year veteran carved her name in every promotion she worked in, where she won titles left and right. Inspired by her father who was also once a grappler, she trained under WWE Hall of Famers Scott Hall and Larry Zbysko to make sure she was learning how to wrestle from the best. She made her in-ring debut with the South Florida-based Coastal Championship Wrestling in 2009 where she immediately won the CCW Women’s Championship in her first match. She then went on to appear in various promotions, such as IWA-Mid South, Ohio Valley Wrestling, EVOLVE, AAA, TNA, among others. Garrett made her Shimmer debut in 2012, where she faced Mercedes Martinez, and Ruby Riot. She entered SHINE Wrestling in 2012, where she and her partner, former Tough Enough contestant Gabi Castrovinci (who competed in TNA as Raquel) won the tag team titles once. She was also a one-time SHINE Champion, defeating fellow MYC competitor Mia Yim in 2015, the same year she won the NWA World Women’s title from Barbi Hayden. She made her first appearance with Stardom in October 2015 when the promotion toured the US. Garrett later on joined Stardom in Japan, where she defeated Io Shirai to defend her NWA Women’s title and win Shirai’s Wonder of Stardom championship in November. After nine successful defenses of the Wonder of Stardom title, she was defeated by Kairi Sane on May 2016. Prior to the Mae Young Classic, the decorated competitor received a tryout in NXT in 2013, where she faced Charlotte. She also had matches with Asuka, Emma, and Billie Kay on NXT in 2016. A hunter will always be a hunter, even inside the squared circle. Sarah Logan began her wrestling career in Japan under the supervision of former WWE Light Heavyweight Champion Taka Michinoku at Kaientai Dojo in 2011. A match against Mickie Knuckles for the IWA East Coast served as her debut and stepping stone to competing in WCCW, UWF, ICW, JCW, Shimmer, ROH and several others. During her independent run, Logan also made several appearances for WWE between 2014 and 2016. Her first appearance was on the September 1, 2014 episode of Raw as The Miz’s make up artist and a Rosebud for Adam Rose. Logan signed a WWE developmental contract on October 19, 2016. She made her NXT debut at the WrestleMania 33 Ticket Party on November 17, defeating Macey Estrella. Serena Deeb, best known as the sole female of CM Punk's Straight Edge Society, is back with a head full of hair and a lot more to prove. Prior to joining the SES, Deeb trained at OVW, the former developmental territory of the WWE where future Hall of Famer John Cena and her onscreen mentor CM Punk started for the company. The neophyte won her first women’s championship within a year of training, only to lose it to actual Hall of Famer Beth Phoenix. From 2006 to 2008, Deeb would unsuccessfully try to win the title back until a return from a brief hiatus in May 2008 resulted in her winning the belt from reigning champion Josie. A month following her second title win, Deeb instituted a 24/7 rule where she will defend the belt at all times. This rule proved to be chaotic as she won and lost her title a total of six times. Her run with OVW coincided with her run in Shimmer, where she competed for the Shimmer Championship with now-WWE Performance Center Assistant Head Coach Sara Amato and won the tag titles with Amazing Kong, aka Kharma. She would compete with the likes of Maria Kanellis and Natalya in Florida Championship Wrestling for a year before her memorable joining in the SES in 2010. Ironically, her non-straight edge lifestyle lead to her removal from the SES and the WWE in just eight months. Her release led her back to Shimmer and various independent promotions such as ROH, PWS, WSU, and TNA. Deeb is an unknown element in this tournament as she has not competed since her last two matches with Reina and Impact Wrestling in 2015. Only time will tell if she got back to top form before the beginning of the tournament. Brazilian Jiu-Jitsu brown belter and catch wrestler Shayna Baszler is a veteran in women’s MMA. Now, she may just be on the same path in the world of professional wrestling. Trained by former UFC Heavyweight Champion (and erstwhile pro wrestler) Josh Barnett, the “Queen of Spades” first dipped her toes into MMA in various promotions, such as Elite XC and Strikeforce. In 2013, Baszler fought and won against Colleen Schneider to enter The Ultimate Fighter house, where she was picked by Ronda Rousey to be part of her team. She made her UFC debut against Bethe Correia the following year and would go on to face Miesha Tate, Cris Cyborg, and Amanda Nunes in her lengthy MMA career. Baszler officially made her pro wrestling debut in September 2015, where she lost to Cheerleader Melissa (who some might be more familiar with as Lucha Underground's Mariposa) at Quintessential Pro Wrestling in Nevada, and made connections with Stardom during their US tour in California by working in two of their shows. She made her Absolute Intense Wrestling debut in April 2016 against Mia Yim in a losing effort though she would win against NXT Superstar Ruby Riot in September to claim the AIW Women’s Championship, a title she still holds to this day. Between these two bouts, Baszler entered Shimmer in June and faced Riot again along with fellow MYC competitors Nicole Savoy, Kay Lee Ray, and Mercedes Martinez. Reports popped up in September 2016 of Baszler, who former WWE Divas Champion Nikki Bella enlisted to train her in submission wrestling, taking part in WWE’s tryouts but no news would come of it until her announcement for MYC nearly a year later. Months prior to the MYC’s announcement, however, Baszler unsuccessfully challenged Io Shirai for the World of Stardom title in January. The 22-year old Brazilian black belt judoka and a blue belt in jiu-jitsu might be new in the world of professional wrestling, but her combat-sport experience surpasses most of her opponents’. Taynara Conti was discovered by WWE talent scouts because of her thunderous throws in 2016. Her first televised match was the No. 1 Contendership battle royal for the NXT Women’s title last May 13. She also had tag matches against her fellow MYC participants and NXT trainees Lacey Evans, Dakota Kai, and Vanessa Borne. Tessa Blanchard has a pedigree one could only dream of, but with her impressive resume, it’s safe to assume that this will someday become the least interesting fact about her. The daughter of legendary Four Horsemen co-founder Tully Blanchard and the stepdaughter of great '80s wrestler Magnum TA, “The Queen of The Carolinas” wrestling first piqued her interest when she witnessed her father’s induction into the Hall of Fame in 2012. With mentoring from both her fathers, as well as cruiserweight wrestler Cedric Alexander, Blanchard kickstarted her career in 2014 with an impressive series of wins that culminated with her first title win via ECWA within the first six months of her career. Two years of bouncing between ECWA, Queens of Combat, Shimmer, and others while squaring up against names like LuFisto, Veda Scott, and Sarah Logan eventually caught the attention of Stardom and lead to an invitation to their prestigious 5STAR Grand Prix in 2016. Blanchard would dominate the B Block in the round-robin style tournament with eight points, losing only to Io Shirai and A Block winner Yoko Bito in the finals. She returned in 2017 for several shows including the Cinderella Tournament, where MYC rival Toni Storm ousted her in the semi-finals. Only three years young into the business, time will tell if the technical diamond in the rough will indeed stick around forever. Her cool and funny personality can make you feel like you’ve known her for ages, but once she steps into the ring, the one and only Toni Storm has no friends she wouldn’t piledriver for a win. Storm started her career on October 9, 2009 at the age of 14 and made her name in Australian promotions by winning multiple championships. She eventually ventured to the UK, where she appeared on the GFW UK Invasion show on October 30, 2015 to face WWE veteran Mickie James. Her brand of British strong style landed her a contract with Stardom mid-2016, and it wasn’t long before her Strong Zero won over joshi fans. Her best matches so far in her young career are against Io Shirai, fellow MYC participant Piper Niven, and Jungle Kyona. Storm became the first ever PROGRESS Women’s Champion after defeating Laura Di Matteo and Jinny in a three-way main event match earlier this May. This match was also the first women’s main event match for the promotion. Vanessa Borne might be a NXT newcomer, but her previous professional experiences from being a broadcaster, a dancer, and a cheerleader prove that she can work under pressure. Her desire to become a WWE Superstar led her to Knokx Pro Entertainment where she was trained by former WWE Superstar Gangrel and WWE Hall of Famer Rikishi. She made her debut on March 26, 2016 for the KPA European Cruiserweight Championship, though she failed to capture the belt. Borne signed with WWE a month later on April 12, 2016 and made her NXT television debut on October 5, 2016 in a losing effort against Peytron Royce. She earned her spot for the Mae Young Classic tournament on the July 12, 2017 episode of NXT, after defeating Jayme Hachey in a qualifying match. One of the seven Chinese athletes signed by the WWE in September 2016, Xia Li has only trained in professional wrestling for a little over a year, but has been in fitness and combat sports all her life. Topping the Second World Traditional Chinese Wushu Championship in 2006, Xia also counts among her wins the Nike Challenge Competition and the first China Throw Down: Battle on the Bund crossfit challenge. Xia also co-founded her own fitness studio. One of the WWE Performance Center’s homegrown talents, Zeda has some real fight experience on her side. With a background in MMA, amateur wrestling, singing, and dancing, the former model has a unique skillset going into the Mae Young Classic. 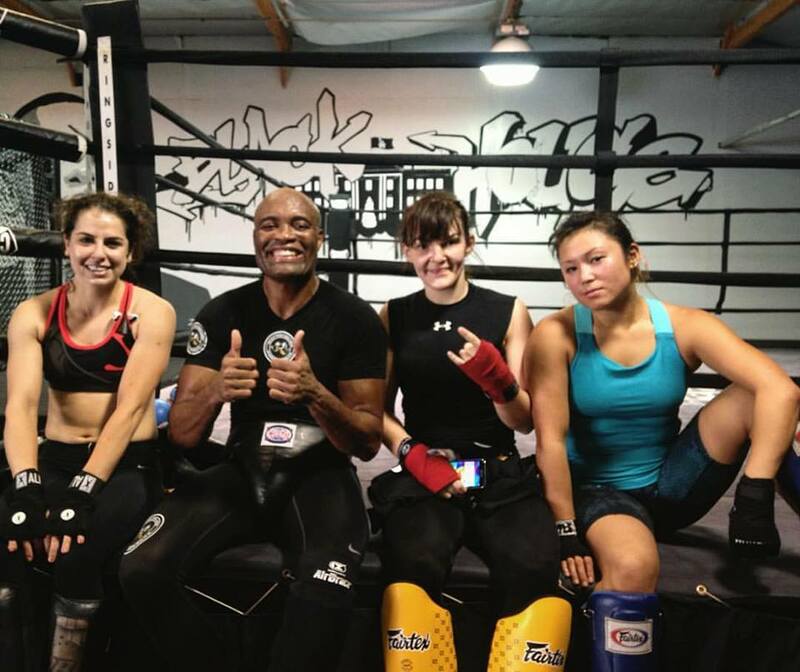 She honed her grappling skills at Blackhouse MMA, the same facility where UFC legend Anderson Silva spars. Zeda has two MMA wins under her belt: one in 2011, when she defeated Betty Huck via unanimous decision at the One World MMA DC Max VI event; and in 2012 when she choked out Evelyn Johnson at the Cage Fury Fighting Championships 18. She received professional wrestling training under the tutelage of former Cruiserweight Champion The Brian Kendrick before making her way to Orlando in January 2017. The WWE released the brackets for the tournament on Monday right after SummerSlam and much like its predecessors, several of its first round matches are already shaking up the odds. Laith vs. Gabert, Niven vs. Garrett, Sane vs. Blanchard, and Yim and Baszler among the first round must-see bouts that are almost too good to see on the first day. Depending on the results, round two and beyond could go equally as bonkers as it may give the fans a semifinal brawl between Gabert and Baszler, an unexpected quarterfinals with Ray and Evers, or even a finals with Sane and LeRae; and those are only some of the results possible from the high-stakes nature of the MYC. Catch the Mae Young Classic only on the WWE Network, while the MYC finals will be held live 10 a.m. Philippine Time on September 12 at Las Vegas right after SmackDown, also exclusively on the Network.